This notice describes how we collect, use and process your personal data, and how, in doing so, we comply with the General Data Protection Regulation (GDPR), the Data Protection Act [1998 OR 2018] and any other national implementing laws, regulations and secondary legislation, as amended or updated from time to time, in the UK (‘Data Protection Legislation’). Your privacy is important to us, and we are committed to protecting and safeguarding your data privacy rights. For the purpose of applicable data protection legislation (including but not limited to the General Data Protection Regulation (Regulation (EU) 2016/679) (the “GDPR”), the company responsible for your personal data (“The Ollis Partnership Limited” or “us”) can be found on the ICO website. 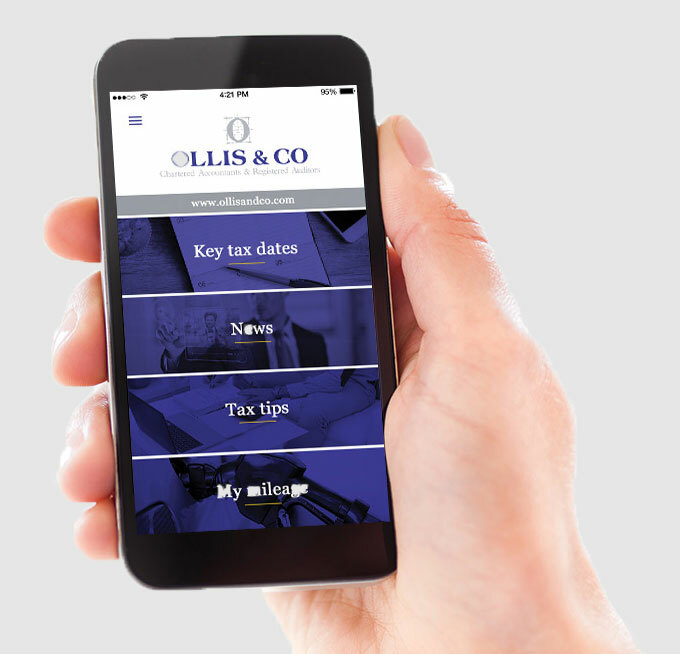 The Ollis Partnership Limited (“Ollis & Co”, “we”, “us”, “our” and “ours”) is a firm of Chartered Accountants and Registered Auditors providing but not limited to accountancy, audit, tax advice, bookkeeping and wages services. We are registered in England and Wales as a company under number: 05795162 and our registered office is at Nelson House, 2 Hamilton Terrace, Leamington Spa, Warwickshire, CV32 4LY. We have appointed a Data Protection Manager who is our Data Protection Point of Contact and is responsible for assisting with enquiries in relation to this Privacy Notice or our treatment of your personal data. Should you wish to contact our Data Protection Point of Contact you can do so using the contact details noted at paragraph 12 (Contact Us), below. Information we receive from other sources, such as HM Revenue & Customs, employers, and financial advisers. We may process your personal data for the purposes of our own legitimate interests, provided that those interests do not override any of your own interests, rights and freedoms which require the protection of personal data. This includes processing for marketing, business development, statistical and management purposes. We may process your personal data for certain additional purposes with your consent and, in these limited circumstances, where your consent is required for the processing of your personal data then you have the right to withdraw your consent to processing for such specific purposes. Our client’s employee’s personal data including name, address, date of birth, gender, national insurance number, marital status, contact details, pension details, student loan details, bank details, tax codes, salary details, holiday entitlement, immigration status, nationality and any other information provided by the employer held on the joint lawful basis between employer and us of contract and legal obligation. Any other services provided to clients requiring use of personal data and is held on the lawful basis of contract and legal obligation. Personal data held may include name, address, contact detail and any other information provided to us by our client or yourself and is held on the lawful basis of legitimate interest. Personal data held may include name, address, contact detail and any other information provided to us by yourself and is held on the lawful basis of consent. Personal data held may include name, address, contact detail and any other information provided to us by yourself and is held on the lawful basis of contract or legitimate interest. “Third parties” includes third-party service providers and other members of our firm’s network. The following activities are carried out by third-party service providers: IT and cloud services, professional advisory services, marketing services and banking services. If you want to exercise any of the above rights, please email our data protection point of contact simon@ollisandco.com. In the limited circumstances where you may have provided your consent to the collection, processing and transfer of your personal data for a specific purpose (for example, in relation to direct marketing that you have indicated you would like to receive from us), you have the right to withdraw your consent for that specific processing at any time. To withdraw your consent, please email our data protection point of contact simon@ollisandco.com. Any changes we may make to our Privacy Notice in the future will be available to you via our website at www.ollisandco.com. If you have any questions regarding this Notice or if you would like to speak to us about the manner in which we process your personal data, please email our Data Protection Point of Contact Mr. Simon Megeney at simon@ollisandco.com or telephone on 01926 335381 or you can write to us at Nelson House, 2 Hamilton Terrace, Leamington Spa, Warwickshire, CV32 4LY.